Hewlett Packard - 485475-001 485475-001 HP Proliant BL460C S Buy 1 X Intel Xeon E5430 Qc 2.66GHZ 4GB Ram SAS SATA Hot Swap 2 X Gigabit Ethernet ILO Blade Server. New Retail Factory Sealed With Full Manufacturer Warranty. 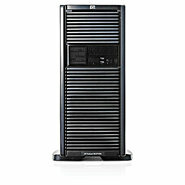 Hewlett Packard - 491316-001 491316-001 HP Proliant DL380 G6 Intel Quad-Core Xeon X5550 2.66GHz 16MB Buffer 12GB DDR3 Memory 2 Way Rackmountable 2U Server. New Retail Factory Sealed With Full Manufacturer Warranty. Hewlett Packard - 590162-001 590162-001 HP Proliant DL160 G6 2x Intel Xeon X5650 Hc 2.66GHz 24GB Ram SAS SATA 2x Gigabit Ethernet 1u Rack Server. New Retail Factory Sealed With Full Manufacturer Warranty. Hewlett Packard - 603602-B21 603602-B21 HP Proliant BL490C G7 1x Intel Xeon X5650 2.66GHz 6GB Ram DDR3 SDRA SATA 2x10 Gigabit Ethernet 2 way Blade Server. New Bulk Pack. Hewlett Packard - 507778-B21 507778-B21 HP Proliant BL460C G6 1x Intel Xeon X5550 2.66GHz 6GB Ram SAS SATA 2x10gigabit Ethernet Blade Server. New Retail Factory Sealed With Full Manufacturer Warranty. Hewlett Packard - 611115-B21 611115-B21 HP Proliant Bl2x220c G7 2x Xeon E5640 2.66GHz 24GB RAM HDD 1x 250GB 2x Gigabit Ethernet 2 Nodes Cluster 2 Way Blade Server. New Retail Factory Sealed With Full Manufacturer Warranty. Hewlett Packard - 595725-B21 595725-B21 HP Proliant BL460C G6 1x Intel Xeon Qc X5650 2.66GHz 6GB Ram SAS SATA 2x10gigabit Ethernet Blade Server. New Retail Factory Sealed With Full Manufacturer Warranty. Hewlett Packard - 464944-B21 464944-B21 HP Proliant BL260C G5 1P Intel Xeon E5430 Qc 2.66GHZ 2GB Ram SFF SAS SATA Hot Swap Gigabit Ethernet ILO Embedded G5 SATA Raid Blade System. New Bulk Pack. Hewlett Packard - 531350-B21 531350-B21 HP Proliant BL280C G6 1 X Intel Xeon X5550 Four Core 2.66GHz 2GB Ram SAS SATA 2 X Gigabit Ethernet Blade Server. New Retail Factory Sealed With Full Manufacturer Warranty. Hewlett Packard - 579239-001 579239-001 HP Proliant DL360 G7 2X Intel Xeon HC X5650 2.66GHz 12GB RAM SAS SATA 2X HP NC382I Gigabit Ethernet 1u Rack Server. New Bulk Pack. Hewlett Packard - 605661-005 605661-005 HP Proliant Dl160 G6 S-Buy 2x Intel Xeon X5650 Qc 2.66GHz 12GB RAMSAS SATA DVD-Rw 2x Gigabit Ethernet 4 Lff Non-Hot Plug 1u Rack Server. New Retail Factory Sealed With Full Manufacturer Warranty. Hewlett Packard - 445203-001 HP/COMPAQ - PROLIANT DL160 G5 - 1P INTEL XEON E5430 QC 2.66GHZ 1GB RAM SAS/SATA HS 2 X GIGABIT ETHERNET ILO HP SC40GE SAS HBA WITH RAID 1U RACK SERVER (445203-001). REFURBISHED. IN STOCK. SHIP SAME DAY. Hewlett Packard - 579240-001 579240-001 HP Proliant Dl360 G7 1x Intel Xeon Qc E5640 2.66GHz 6GB RAM SAS SATA 2x HP Nc382i Gigabit Ethernet 1u Rack Server. New Bulk Pack. Hewlett Packard - 603569-B21 603569-B21 HP Proliant BL460C G7 1x Intel Xeon E5640 Hc 2.66GHz 6GB Ram SAS SATA 2 X 10 Gigabit Ethernet 2 Way Blade Server. New Bulk Pack. Hewlett Packard - 603259-B21 603259-B21 HP Proliant BL460C G7 1x Intel Xeon X5650 Hc 2.66GHz 6GB Ram SAS SATA 2 X 10 Gigabit Ethernet 2 Way Blade Server. New Bulk Pack. Hewlett Packard - 630442-S01 630442-S01 HP Proliant Bl460c G7 2x Intel Xeon 6 Core X5650 2.66GHz 16GB RAM 2x10 Gigabit Ethernet Blade Server Smart Buy. New Bulk Pack. Hewlett Packard - 598129-B21 598129-B21 HP Proliant BL280C G6 1 X Intel Xeon X5650 Six Core 2.66GHz 6GB Ram SAS SATA 2 X Gigabit Ethernet Blade Server. New Retail Factory Sealed With Full Manufacturer Warranty. Hewlett Packard - 595166-001 595166-001 HP Proliant Dl370 G6 2x Intel Qc Xeon X5650 2.66GHZ 12GB DDR3 SDRAM SAS SATA 4x Gigabit Ethernet 4u Rack Server. New Bulk Pack. Hewlett Packard - 595825-B21 595825-B21 HP Proliant BL490C G6 1x Intel Xeon X5650 2.66GHz 6GB Ram SATA Gigabit Ethernet Blade Server. New Retail Factory Sealed With Full Manufacturer Warranty. Hewlett Packard - 576411-001 576411-001 HP Proliant Dl370 G6 2 X Intel Quad-Core Xeon X5550 2.66GHz 12GB DDR3 SDRAM Serial Attached SCSI Raid Controller 64MB Integrated Graphics 4 X Gigabit Ethernet 4u Rack Server. New Bulk Pack. 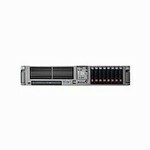 Hewlett Packard - 605876-005 605876-005 HP Proliant Dl380 G7 S-buy 2 X Intel Xeon Qc E5640 2.66GHz 12GB DDR3 SDRAM SAS SATA DVD-RW Gigabit Ethernet 2u Rack Server. New Retail Factory Sealed With Full Manufacturer Warranty. 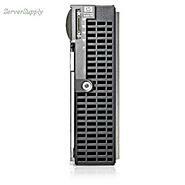 Hewlett Packard - 483265-B21 483265-B21 HP ProLiant BL2x220c G5 L5430 2.66GHz 4GB 2P Blade Rmkt Server. New Bulk Pack. Hewlett Packard - 627805-B21 627805-B21 HP Proliant Dl360 G7 Central Management Server 2x Intel Xeon 6 Core X5650 2.66GHz 32GB RAM 2x146GB HDD ATI Es1000 4x Gigabit Ethernet 2 Way 1u Rack Server. New Bulk Pack.